My name is Becky Ances and I’m an American girl living in Xiamen, China. Xiamen is considered the top city in China for amateur badminton players. Is Playing Badminton Your Full-Time Job? 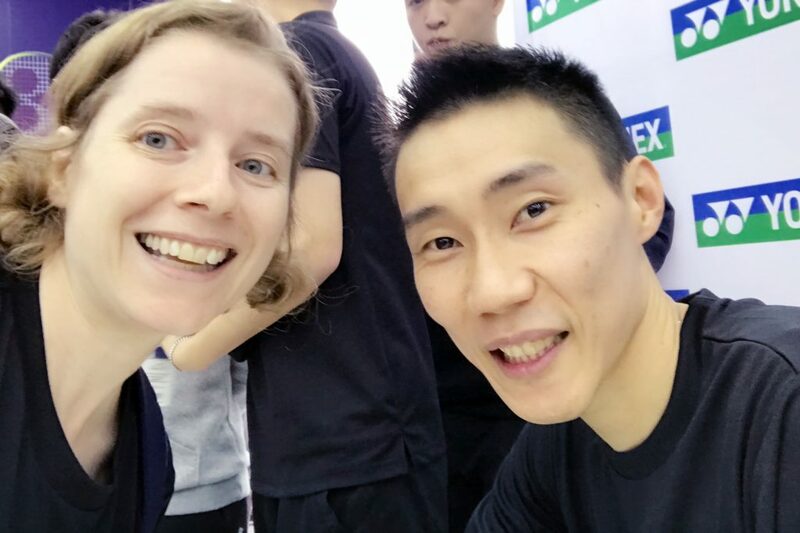 Did You Come to China to Train Badminton? That’s my Chinese name. My full Chinese name is 龙小冰 Long Xiao Bing (pronounced long shao bing). No one in the badminton world can speak English so everyone, including my coach and my bf, call me Xiao Bing. So You Can Speak Chinese? Yep, I’m fluent but still very much a foreigner. Sometimes I don’t exactly understand what is going on! When I write in this blog all conversations have been translated by me. I also translate the subtitles on my video and I have decided to be an interpreter instead of a straight translator. So sometimes I translate the idea, and not the exact words. Any mistakes are my own. How Long Have You Been Playing Badminton? I consider my official start date the day I found my coach Sept 2015. I had been playing with a group of foreigners a few months before that, but I didn’t know anything about badminton and certainly couldn’t play it at all. Like most Americans I thought it was just a fun game like tag, or duck-duck-goose, and certainly not something serious. But after playing for fun a few months with some foreign friends, I saw all the Chinese people around me playing a totally different game than I was. So I asked a friend to recommend a coach to me, and before I knew it I was obsessed, playing and training as much as I could. How Much Do You Train/Play? For more than two years I played every day, and trained once a week. Since I started playing in my 40’s I had a lot of catching up to do! I would regularly play 15 days without a break. But now that I’m older and wiser I have pulled back to 3-4 times a week including training. A typical night goes for 6:30-10:30 pm.Training is one hour 1-on-1 with my coach. Although he plays with me most days and trains me as we play games. I am very lucky to have a dedicated coach who is much more like a family member than a paid for coach. He owns his own badminton courts which I have access to 24 hours a day, 7 days a week. 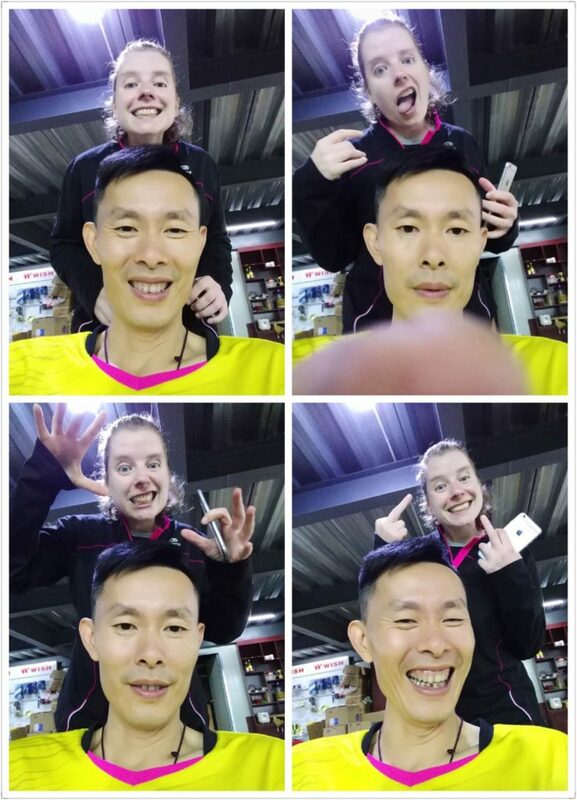 I am a member of several badminton clubs, and I like to go to different courts to play with new people, but my main badminton home is my coaches courts. I caught him taking a selfie at the courts one night, so of course I had to photo bomb him. Your question not answered in this Q&A? Feel free to shoot me an email! Check out my youtube channel here!